Pfeiffer was one of one of Obama’s first hires when he decided to run for president, and was at his side through two presidential campaigns and six years in the White House. 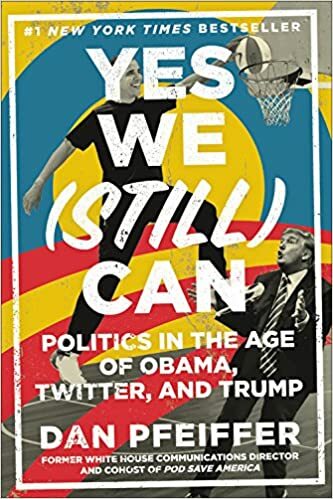 Using never-before-heard stories and behind-the-scenes anecdotes, Yes We (Still) Can examines how Obama succeeded despite Twitter trolls, Fox News (and their fake news), and a Republican Party that lost its collective mind. An irreverent, no-BS take on the crazy politics of our time, Yes We (Still) Can is a must-read for everyone who is disturbed by Trump, misses Obama, and is marching, calling, and hoping for a better future for the country.